Painkillers, like most of prescription drugs, have side effects. Some potential non-opioid painkiller side effects are headaches, constipation, nausea and dizziness. The other group of painkillers are opioids. They are highly effective against chronic pain caused by arthritis or cancer. Also they are often prescribed to mitigate acute pain, such as pain after a surgery. Opioid side effect are more dangerous, so they should be taken only under close supervision of healthcare professional. Respiratory arrest caused by opioids may lead to death. When someone is overdosed with painkillers, it is hard to breathe and sometimes it’s almost impossible. Now scientist suspect opioids to also cause short-term memory loss. Addiction is a serious issue across the U.S. states. Especially in the state of Massachusetts, where the opioid addiction rate is one of the highest compared to other states. High effectiveness of opioid painkillers can be explained by their direct affect on the nervous system of a patient. They are blocking pain signals that are coming to the brain by binding themselves to receptor sites. But sometimes, painkillers block the functions of the body they shouldn’t, and it causes severe side effects. 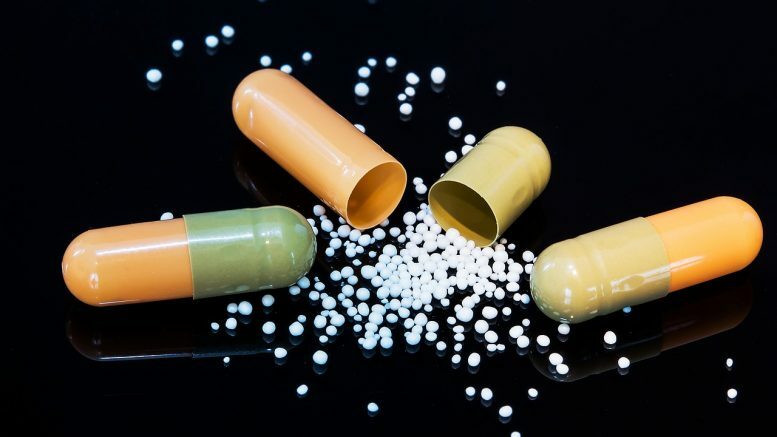 Researchers from one of the largest European hospital university Charité found the way to eliminate severe side effects of painkillers and make them less dangerous to patients’ lives. Giovanna Del Vecchio and Viola Spahn, first authors of the study, stated that NFEPP, a new drug prototype, works differently than current painkillers and activates opioid receptors only in damaged tissues, which have an acidic environment. NFEPP was able to produce pain relief in inflamed tissues when it was used in an animal model. To find out the best way of eliminating side effects of opioid painkillers, the researchers used computational simulation and analyzed how corresponding receptors behave in damaged and healthy tissues when they are effected by opioid painkiller drugs. During the study, scientists hoped to find data that would allow them to develop safe painkillers that will not have side effects. After, they tested the effect of opioids on inflamed and normal tissues. Researchers increase the concentration of protons with the help of a computer model to simulate damaged tissue with its acidic environment. They found out that by adding protons to molecules of painkiller drugs, they would affect only receptors in the acidic environment, which helps to bind only specific receptors that will have an effect on pain. This discovery will improve everyday life of patients who have to undergo long-term treatment and are more likely to develop psychical and physical addiction in their bodies. These findings can be used in different areas where receptors and their relations with different drugs are studied, because it is not limited only by opioids. This research also approved that computer simulations are becoming more popular and even more important, because it is possible to save money on unsuccessful trials and development, improve the efficacy of the drug and predict its side effects or overall effect on a body. 1 Comment on "Painkillers Without Side Effects Developed"